I do remember the first time. My Uncle gave me a rusty pocket knife when I was 7 or 8 and a small Arkansas stone. I wiped that blade back and forth endlessly like he’d shown me. Sometimes it got sharper, other times it didn’t. 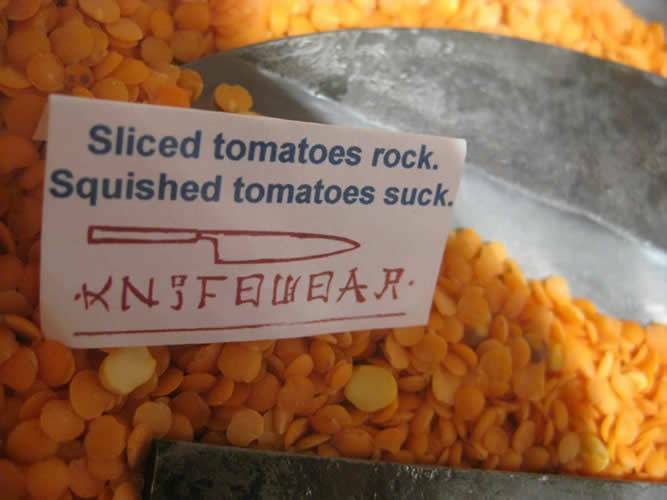 I treasured that knife and stone. In fact I still have it somewhere. He told me never to tell his sister (my Mom) and I never did. I started Knifewear in the summer of 2007. So eight years now. It started when I moved back to Canada from living in London for years. I was a chef and got turned on to Japanese kitchen knives there. When I moved back to Canada there were no knives worth buying in my opinion so I made a couple contacts in Japan and imported a few knives. The plan was to sell some knives to chefs so I could buy more knives for my personal use. It has since gotten out of control as we now have have 5 knife shops across Canada ( with a Vancouver shop opening in 2016) and now we have a new shop called Kent of Inglewood that specializes in classic shaving (straight and safety razors), cocktail gear, pocket knives and axes. I started sharpening knives as part of the business right when I received the first shipment of knives. It only made sense. I was not bad at sharpening form my time as a chef, but I really improved quickly when I started a sharpening knives with Master Knife Sharpener Shibata san of Masakage Knives. I’m very good, but he is the best I’ve ever seen. I still learn form him 2-3 times every year when we meet in Japan or Canada. Oh, it’s complicated. I use Japanese waterstones and sharpen with more of a Japanese technique now. I work on sections of the blade one at a time to raise a burr then move it the next section. After I’ve raised a burr on the entire length of the blade I do the same on the next side. It’s really pretty easy if you know what to look and feel for. As with any sharpening you start with coarse stones and work your way to finer stones. Depending on the type of edge you want and the type of steel in the knife you will choose different stones to finish on. With German knives I tend too finish with a 1000 grit stone but with some of the mega hard Japanese steels I will go to 4000, 8000 or even 10,000 grit stones. I usually debar the blade with a leather strop between stones. I’m still improving and I don’t think I will ever feel I’ve mastered it. I did have a big change in my skills in 2013. I had a moment when everything made more sense and I felt it became much easier for me, but I still learn from Shibata san every time I see him. He is still improving too. My main challenge when starting the business was convincing customers that I was good at my job. Many chefs have had their knives battered by a ‘professional‘ knife sharpener and are scared to make the mistake again. I did lots of sharpening for free to gain their trust. I still do a lot of sharpening for free. I just like to make people’s day with a free sharp knife. I always tell people to start with cheap knives, but that can only get you so far. 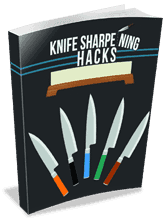 Cheap knives never take the same quality of edge that a proper knife will. I say if you can get a great edge on a crappy knife you should be able to get an amazing edge on a great knife. I think you should graduate to nicer blades sooner than later. It seems to me the biggest mistakes that beginners make is not keeping a consistent angle, having stones that are not flat, and not actually raising a burr on each side of the blade. Beginners can often get defeated and give up too easily. Like anything practice makes perfect. I still experiment with new techniques and new equipment. I imagine I will always be improving. 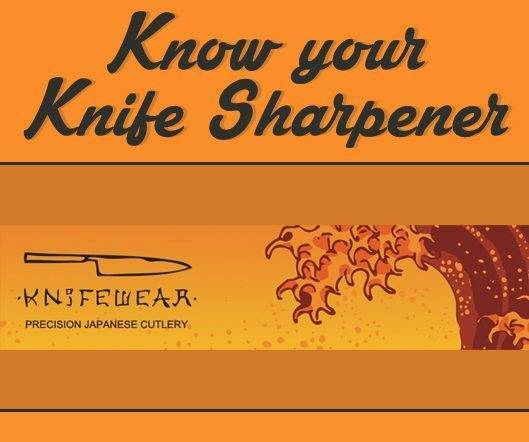 There are many many types of edges you can give a knife based on type of steel the knife is made and based on the intended use. For such a seemingly small subject the possibilities are endless. It’s a dangerous rabbit hole to jump down. Have fun! I’ve sharpened a lot of expensive knives. 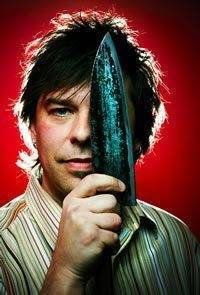 I personally have a honyaki forged gyuto that cost me $3300. We carry more expensive knives that we sharpen from time to time. I know that some customers have brought in some crazy stuff. I don’t know really. I can’t sharpen serrated knives and I dislike sharpening super cheap knives as they take, at best, a poor edge. I love to sharpen handmade kitchen knives from blacksmiths I don’t know yet.